The Over / Under 2 Goals Bet provides punters with more flexibility than some traditional methods of betting. Over / Under sports betting allows you to eliminate the draw option and focus on whether the goals made in a match will be under or over 2. This strategy is popular for football and a number of other sports where points can be tallied at the end of a game. With Asian Over / Under 2 goals, you don't have to worry about which team will win a football match. All you have to consider is the goals tally after 90 minutes have elapsed. For this reason, quite a few punters think that Over / Under 2 Goals betting is the ideal technique for them to use. 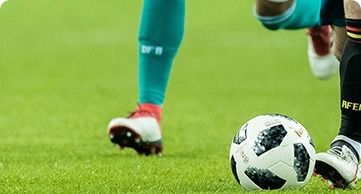 Over / Under 2 Goals betting or O/U 2, is a technique which requires punters to guess how many goals will eventually be scored over the duration of a match. If a punter thinks that fewer than 2 goals will be scored, they wager under 2. If they think players of either side will score more than twice in total, then they put their stake on over 2 goals. Over / Under 2 Goals bets give players a lot of flexibility. If they favour a particular team to do very well and score a lot of goals, they can bet over 2. If they think their favourite team may not do as well as usual because they are playing away, they can bet under 2. If they think either team may not do well, they can bet under 2 as well. However they see the match turning out, they can choose an appropriate option to match that. When a punter uses Over / Under 2 Goals to place a bet, they must decide whether all the goals made in a match will add to more than two or less than two. For example, a punter evaluates a game between Liverpool and Arsenal. They have always like the Gunners and are of the opinion that they might score at least 3 goals in the game. They think Liverpool has good players and may score at least one goal. Adding goals from both teams gives 1+3=4 goals, so they bet that the match tally will be over 2. Two goals exactly is never the aim. However, if the sum of goals is two, in a match where a punter is betting for more than 2 goals or under 2 goals, they will get back their stake. If you bet $200, you would get back $200. If you wagered on over 2 and the tally was 1 goal, you wouldn’t get back any of your stake. Over / Under 2 Goals bets improve the betting odds, jsut like Asian handicap itself. Instead of focusing on three possible outcomes in a game, they concentrate on the possibility of two occurring. Usually, a punter has to guess whether their favourite team will win, lose or draw. That means with O/U 2 their chances of being correct increase from 33% to 50%. When you bet under 2, your odds of either remaining at the same level or making a profit actually increase to 67%. You only have a one in three chance of actually losing your money. That will happen if you bet under 2 and the points tally is 3 or higher. The same applies if you bet over 2 and the game tally is 2. In that case, you get back your money. Some betting strategies are really risky. With those, you stand a high chance of losing your money. Over / Under 2 Goals is not like that. A bettor must evaluate both teams and decide whether total goals scored will surpass two or not. The stats over a season may encourage a punter to bet over 2 or under 2. If they think there’s a higher chance of more than two goals being scored in any match, with any 2 teams, they will put their stake on that. When compared to other betting options, under 2 bets are a relatively safe way to take a chance on a game’s outcome. If you are right and 0 or 1 goal is scored in total, you win your wager and make a profit. Your odds of being right are already 50% so you have a good chance of winning. If you are wrong and exactly two goals are scored, you get back your stake and have a chance to walk away or try again. You also get back your cash if you bet over 2 and the final goals tally is exactly 2. From this, you can see that one of the biggest benefits of Over / Under 2 Goals betting is its safety. Your chances of making a big profit really get big when you combine Over / Under 2 Goals with other strategies when betting on football. For example, some bookmakers make it easy for you to bet in play. You can evaluate your position at the end of the first half and take advantage of it. You can also bet Over / Under 2 Goals for half the match instead of the full 90 minutes.